Security is crucial to effective risk management for any organisation today. From digital hacks through to stolen data in physical form, there are many ways in which the information that a business generates could be a threat to its survival. Shredding provides a secure and simple way to deal with this threat, minimising the potential for documents or papers to be exposed to those who could use them in a way that harms an ongoing concern. 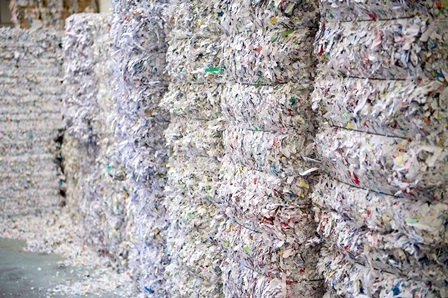 But, when it comes to shredding, what should your business be disposing of in this way? Aside from the financial records that must be retained, anything that contains data about the financial side of the business should be shredded. That could be financial projections, accounts and sales forecasts, even those that were not accurate or were simply a first draft. Financial statements, any audit documents and bank statements are also a key point of vulnerability if not properly disposed of. Companies have a duty to ensure that employees are not exposed to the risk of identity fraud as a result of the way documents are disposed of within the business. That’s why it’s so important to ensure that any documents containing employee data are shredded when it comes to disposal. This category covers anything, from employment contracts to payroll and tax records, information about internal matters, such as a disciplinary process, or application forms. Client and customer trust can be significantly damaged if confidential data is exposed – shredding is the only way to ensure that this doesn’t happen. Client lists and records of correspondence, as well as contracts and bids all need to be shredded to preserve data confidentiality. The same is true of documents that have been generated in the process of pitching to potential clients, as well as those that have been used for marketing or client or market research. Unwanted items can create a real vulnerability because they are often not particularly carefully disposed of. Meeting memos, presentation handouts or handwritten notes often seem unimportant to the person disposing of them and so may simply be thrown out for recycling or in a regular bin. However, the reality is that there may be key data in these documents that could breach data protection rules or expose confidential company information if they fall into the wrong hands. That’s why it’s so important that all unwanted documents are shredded before they leave the premises. This is another category of document that is often overlooked as a potential problem when it comes to data destruction. However, even financial information that is years out of date can still present a risk to the business. Not only do older financial documents put the financial side of the business at risk if they are picked up by the wrong people but this kind of carelessness can be reputation damaging too. Shredding is an essential part of the process of safely managing security risks for any business, large or small. A reliable on site shredding partner can help you to manage all of your physical document disposal needs. 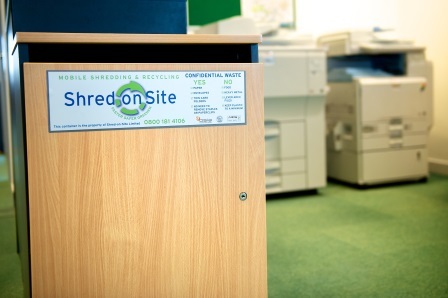 Get in touch with Shred-on-Site today to find out how we could help with your shredding requirements.